In this article we will discuss about how to prepare Genral Awareness portion as per new pattern. 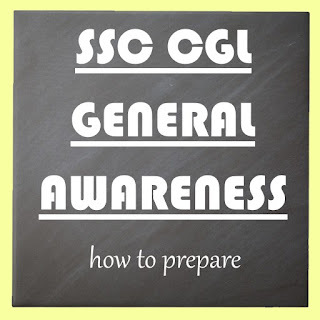 As the SSC released new pattern for SSC CGL, students get confused about the types of question SSC is going to ask in the upcoming exam. SSC has increased the marks of each question by 1 and allotted 2 marks for each question and it created a tension in the mind of students. Guys don’t be afraid of this pattern as this pattern is going to help you. In old pattern SSC asked the question which are one liner and pick the question from any line of book. But as SSC has changes the pattern so SSC will also increase level of the question. As per sources SSC is going to ask the question which is conceptual based and focus more on science portion more in comparison to others portion. Earlier you have to prepare both concept and one liner type question. Now you have to focus only on concept base. Focus on science portion more, specially the physics and chemistry portion. Learn every formula of physics as the SSC is going to ask the question based on application of formula, as SSC asked in this year CPO paper which was cancelled. Focus on chemistry and its application in environment and the formulas of the chemical which caused smog and acid rain and pollute the environment. Prepare the Question based on periodic table, as SSC is going to ask the question which is based on position of element in periodic table. i.e. electronegativity, affinity, stability type question. Read the biology portion with a lot of concentration as it is not easy to cram it. Now the one of the important subject is economics which is totally conceptual, SSC will going to ask the question from this subject totally conceptual based and graph based question. Economics is one of the most difficult subject for SSC CGL aspirants, and question are generally typical from this section. In history portion focus more on Modern History and cultural based question. Now SSC will ask the impact of treaty and its causes. It is also possible that SSC can ask more than one question in a single question in the form of matching, or it may ask multiple true and false type questions. Read history as a story an don’t take it as burden. Geography is one more subject which is conceptual upto a limit and SSC will not let it go easily. So question will be focused on causes of something which is related to our nature and earth crust. Polity is another major subject and it will play a major role in this exam so focus on it. There can be 1 or more question form Static GK. Guys remember one thing; now don’t try to attempt the question in which you are not 100%sure (maximum) or 75% surety (minimum). Attempt GS portion in last , as you can utilise every single second of 75 minutes , but if you attempt another portion you cannot utilize the full time, as the pressure is so much that some guys are not able to solve even a single quant question in last two or three minute. Some of the Best Books for Preparation of SSC CGL 2017 GK Portions is as below. 1) General Knowledge (Lucent Publication): This is just like an encyclopedia for static General awareness part in SSC (History, Geography, polity, economics, science, etc). Old but Gold, people often find excuses to avoid this book, but in reality if you read this book throughly you can score more than 30 in GA portion. 2) Lucent's General Science : This Book combines Social Sciences with Pure Sciences, including subjects like Geography, History, Indian Polity, Indian Constitution, General Sciences, and Indian Economy. The last part of the book discusses miscellaneous topics that students need to be aware of. All the information provided in the book are neatly organised so that referring to any topic at a particular point in time becomes handy. 3) SSC General Awareness: Chapterwise Solved Papers 1997 to till Date - (9100+Objective Question): The book “SSC General Awareness - Chapter wise Solved Papers 1997 to till Date (9100+Objective Question)” is one of the best books for competitive exams. The book includes objective question and answers with their explanations. Previous years solved papers are also provided in the book. In total the book has various portions that will help in learning and gaining knowledge to the readers. Besides, due to having proper explanations of question this book is considered as one of the best books for clearing SSC entrance exam.